Buffalo, NY – Prog duo Middlesong has release a new three-song EP titled “Directions” featuring YES legend Billy Sherwood. With Joe Schneider (vocals, guitar, keyboards) and Phil Tomczak (keyboards, guitars), Middlesong has heavy Prog and Classic Rock influence, along with hints of Folk, Pop and Americana. Middlesong’s eclectic sources produce a universal sound that musicians and non-musicians will appreciate! “In particular, with ‘Directions in D Minor (Make Sure That You Learn)’, we explored the key of D minor, while providing the listeners with different styles within the same song – a classic Prog offering. Each section of the song represents a stage of one’s life; chasing the musical dream; wrestling with the muse. Joe Schneider and Phil Tomczak formed Middlesong in 2015. It didn’t take long to realize the synergy and soul of their collaborative songwriting! Joe is a veteran of the performance stage. Augmented by his guitar playing, Joe’s vocals soar with clarity, smoothness of texture, and deep feeling. Joe finds inspiration from singer-songwriters such as Lennon-McCartney, Tom Petty and Billy Joel. He has great, natural instincts for melody and harmony, and a gift for writing lyrics that touch our souls in just the right place. Phil’s love for music stems from the piano, influenced by the likes of Rick Wakeman and Keith Emerson. His versatility extends to the guitar, which plays a significant role in Middlesong’s songwriting and distinctive sound. Phil’s musicianship evokes imagery and will carry you along on the clear road ahead, or sweep you off into a surprising new direction. Prog Keyboardist/Composer Leon Alvarado To Release New Concept Album “The Future Left Behind” Feat. YES Legends Rick Wakeman & Billy Sherwood! Feat. YES Legends Rick Wakeman & Billy Sherwood! Houston, TX – Hot on the heels of his critically acclaimed third album “2014, Music from an Expanded Universe”, keyboardist/composer Leon Alvarado will be releasing his new album “The Future Left Behind” on July 30, 2016! The highly anticipated new concept album features guest appearances by YES Legends Rick Wakeman & Billy Sherwood, as well as Johnny Bruhn (CIRCA:) and Steve Thamer. Leon’s first album, “Plays Genesis and Other Original Stuff,” drew on his strongest musical influences, primarily, the many styles in Genesis’s lengthy career. By the time Leon released his second album, “Strangers in Strange Places,” he had refined his method and his vision, and it’s the audience who wins. “Strangers” features Brand X’s John Goodsall on guitar and the legendary drummer Bill Bruford (YES, King Crimson, Earthwork) and reveals an intertwining of progressive rock and ambient textural sound that blossoms in, “2014, Music from an Expanded Universe”. For this third release, he enlisted the talents of Trey Gunn (King Crimson) and Jerry Marotta (Peter Gabriel, Hall and Oats). And now, much to the excitement of Prog fans worldwide, Leon is set to release his latest masterpiece, “The Future Left Behind.” In regards to the guest performers, Leon explains, “To help the story along and properly set the pieces of music we recorded some narrated bits. I wanted a voice with a large presence. A deep resonating voice that more or less commands to be heard. Steve Thamer is a Canadian voice-over talent who majored in Classical Theatre and has work doing voice-overs for audio books, films and animated shorts. “As for Billy Sherwood, I envisioned his involvement in the project from the outset. He played a big part in the recording and helped me in elevating the music as a whole. Billy is very down to earth and has to be one of the hardest working musicians I have ever met. He is also extremely proficient and doesn’t waste any time when it comes to getting things down musically. “During one of my visits to California I went to see Billy’s other band CIRCA:. The guitar player was Johnny Bruhn. I’ve seen many people perform YES music before but Johnny’s guitar playing captured the feel of it so well that it left an impression on me. When this album was conceived, I knew I would have a place for him. “I have the greatest respect for all the people involved in the project. I must admit that when it came to working with Rick Wakeman, I was a bit nervous at first. But in the end, it was one of those ‘pinch me’ moments that worked brilliantly. It’s not everyday that you have one of your musical heroes performing on a piece you composed. YES Legends Billy Sherwood and Tony Kaye’s “Live In Japan” 2CD/1DVD OUT NOW! London, UK – BILLY SHERWOOD is the current bass player in the band YES and will be touring with the band throughout 2016. TONY KAYE was an original founder member of YES and re-joined the band for the hugely successful 90125 era, which produced the hit OWNER OF A LONELY HEART. “Live in Japan” sees the duo performing songs from their careers including a generous number of YES hits! Billy Sherwood and Tony Kaye’s “Live In Japan” 2CD / 1DVD release will be eagerly greeted by YES fans especially in light on Sherwood’s recent return to the band in mid-2015! Prog Icon Billy Sherwood Releases Divided by One and Career Retrospective Collection OUT NOW! London, UK – Prog icon BILLY SHERWOOD, best known for his work with YES and CIRCA:, has now released his studio album DIVIDED BY ONE and a compilation called COLLECTION – both OUT NOW! BILLY SHERWOOD is the current bass player in the band YES is touring with the band throughout 2015. Billy Sherwood was a key part of the line-ups which created the YES albums OPEN YOUR EYES and THE LADDER. He recently mixed the band’s HEAVEN AND EARTH album and 2 subsequent DVDs. Prog Icon Billy Sherwood To Release New Solo Album and Career Retrospective – Now Available as a Direct Sales Offer Only! London, UK – Prog icon BILLY SHERWOOD, best known for his work with YES and CIRCA:, has made available his new studio album DIVIDED BY ONE and a compilation called COLLECTION with a hand autographed postcard ! These two CDs and the signed postcard are ONLY available directly from http://www.billysherwoodcollection.com ahead of a mainstream release in October 2015! Orders through this website are being sent out NOW! 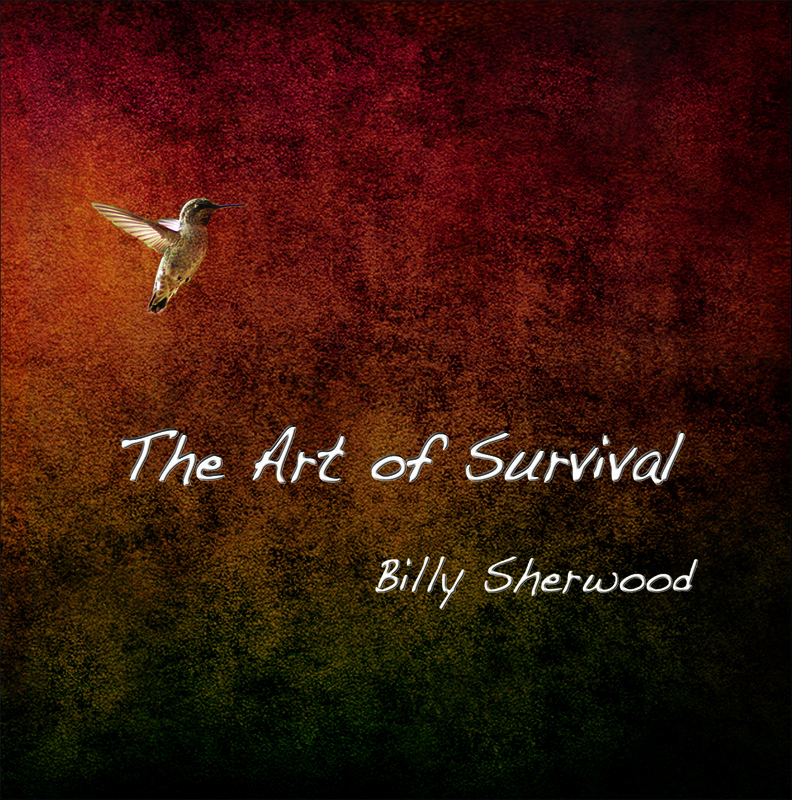 Oct. 15, 2012 – Los Angeles, CA – Much to the excitement of progressive rock fans worldwide, multi-instrumentalist, producer/engineer, singer/songwriter Billy Sherwood is releasing his new solo CD ‘Art Of Survival’ on October 5, 2012. As well as being band member/producer of bands such as CIRCA:, YES, World Trade, Conspiracy and more recently The Prog Collective and The Fusion Syndicate, this CD marks the 6th solo release from Sherwood, who performs all instruments and vocals, as well as delivering his signature sonic spectrum in the production. Billy broaches a number of controversial and topical subjects in ‘The Art Of Survival’. Songs with titles such as “Drone Decipher”, “Chosen By Divinity”, “The Military Industrial Complex” and “Whose Side Are We On” explore topics such as the idea of extremes in surveillance, paranoia, propaganda, geo-politics, modern age warfare, technology, faith and the art of survival. “The idea of the CD is how the integration of politics, technology, faith and zealotry mix and mingle,” explains Billy. In other news, along with the release of ‘The Art Of Survival’, Billy has been producing a number of projects including the latest release by UK prog legends Nektar, The Prog Collective and The Fusion Syndicate projects, Days Between Stations second release and others. “I produced/recorded/mixed Nektar’s new studio record called ‘Time Machine’, coming soon,” says Billy. “The Prog Collective is an all original record I wrote/produced/mixed and then played on, featuring many great artists from the prog genre. It is a very special record containing some of progs biggest names. I am currently writing the next PC record as we speak.” The Fusion Syndicate is a similar production as The Prog Collective, following the same model except in the fusion-jazz genre. Also, CIRCA: recently performed a series of successful shows in Brazil. Says Billy, “We are assembling music from various live performances and looking forward to releasing a live record as the next CIRCA: CD. We are discussing making a new studio record as well.” Lastly, Billy will be producing and writing material for legendary actor William Shatner’s new solo CD; a concept album featuring amazing guest artists!